All set for a period of Real Madrid dominance? Under Pep Guardiola’s guidance, Barcelona from 2008-2012 were arguably the greatest ever club side to grace the game. However, the years following would suggest that their superiority has come to the end of the road. In come Real Madrid, the new contenders to legitimately challenge Barcelona’s dominance not only in Spain, but also on the European stage. The Catalan’s power has slowly diminished and Los Blancos have been waiting patiently, ready to strike while the iron is hot. Now is that time to firmly prove they are the best team in Europe. It is not just about winning the Champions League once, but the consistency of potentially winning it three times in four years is what would cement their place as the best team in the world. Real Madrid have not only been the most exciting team in Spain to watch this season, they have also been the most deserving of the LaLiga title. The ability to compete on all fronts – especially in Europe – takes experience and immense squad depth, something that Los Blancos have in abundance. Over the course of the last few years, their transfer policy, set out by Florentino Perez, appears to have shifted slightly. 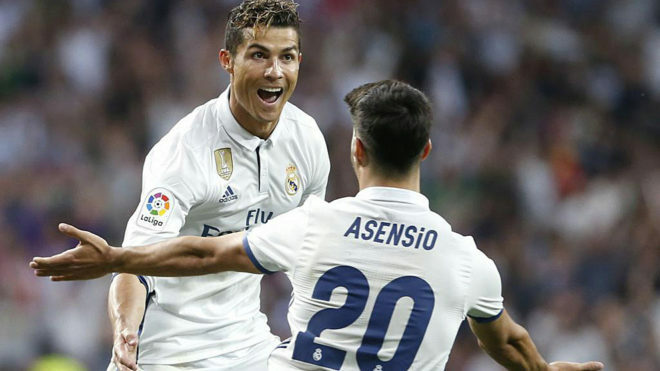 While they are not immune to signing the galacticos of this world, the club’s hierarchy seem to be more interested in building a long-term, well-oiled machine to sustain this level of success. This is personified by the signing of Marco Asensio. Madrid signed him back in 2014 from Mallorca for a measly 3.9 million euros – which now looks like one of the biggest bargains of recent history. The Spanish international, who has just been called up to the national team squad, gained valuable experience at Mallorca and Espanyol on-loan, and is now reaping the rewards of stepping away from the Bernabeu for two years and continuing his education elsewhere. 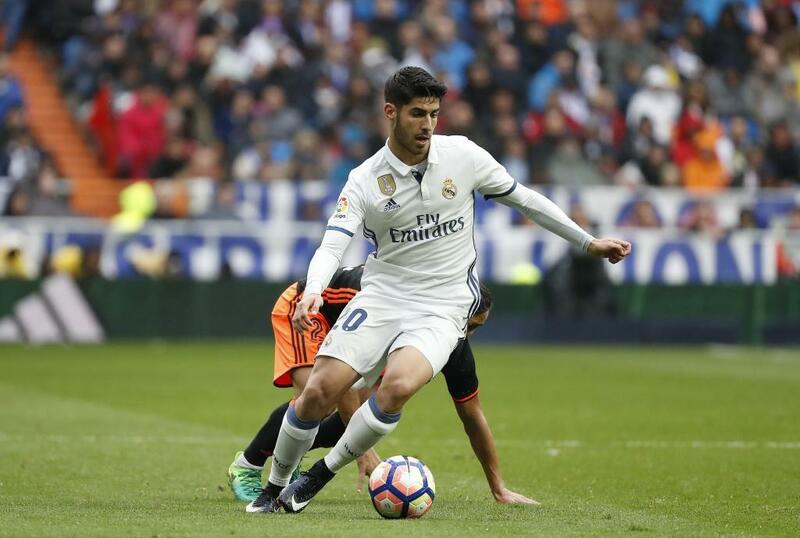 At the tender age of 21, Asensio has already proved his worth this season with some incredible performances from the bench. Acting as an impact sub, the winger is permitted the freedom to run at the heart of a tiring defence, showing his technical ability and panache to waltz past his opposition. Let’s not forget that the boss, Zinedine Zidane, is only 44 years old – a very young coach in an old man’s game. The Frenchman has delivered an awful amount of success to Perez’s doorstep in such a short time that it would make sense for the club to allow him to build his legacy. Real Madrid have been accused of undertaking a sacking culture, but long-term success usually breeds from having a stable management team. While there will not be any more Sir Alex Fergusons or Arsene Wengers, Madrid should be looking to keep Zidane long enough for him to maximise his potential. The Los Blancos boss has allowed Cristiano Ronaldo more freedom this year to operate in a central role. While the Portuguese superstar might start out on the left, his ability to sniff out a goal is unprecedented as he drifts into the poacher’s role when in the box. Ronaldo has made 15 appearances through the middle this season and scored in 12 of those. Nearly a goal a game. A quite remarkable tally for a player that is not an orthodox No. 9. But so are Ronaldo’s predatory instincts, it is not about the position in which he starts off in, it is the position in which ends up. You will rarely see a passage of play in where the former Manchester United winger is not in the box eagerly awaiting a cross from either flank. So with one game left to lift the prestigious LaLiga title, this inspiring group of Real Madrid players have one question left to answer: are they ready to be crowned champions for the first time in five years and lay the foundations of a new era of dominance in Spain and abroad?